South Africans may not celebrate Thanksgiving, but our web searches show our obsession with the Black Friday shopping sensation — taking place on November 24 this year — may rival even that of many Americans. 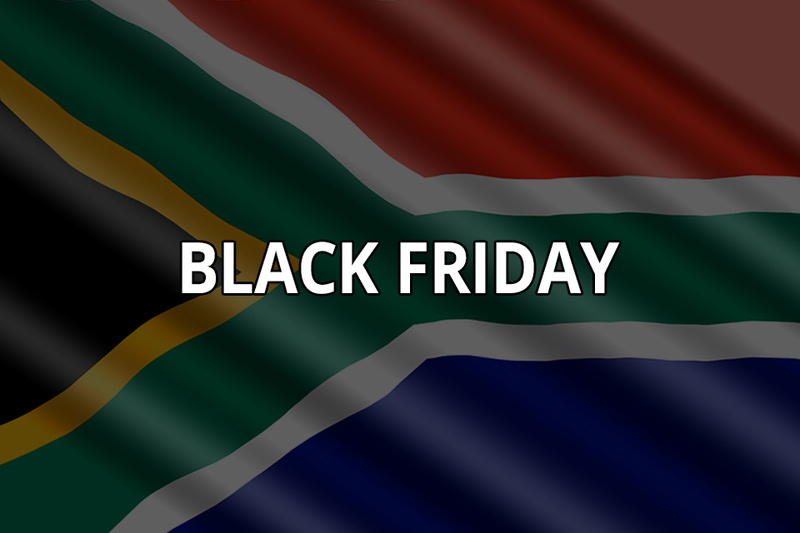 In the last 12 months, South Africa has topped the Google Trends global “interest by region” ranking for the search term ‘Black Friday’, with a rating of 100 over the United States’ 71. While this rating indicates considerable interest in Black Friday among local onliners, it doesn’t necessarily mean South Africans are searching “Black Friday” more than our American counterparts. More specifically, the ranking shows the location where the term was most popular during a specified time period, but only as a fraction of total searches in that location. In other words, we haven’t really searched for “Black Friday” more than Americans in absolute terms (and probably not even by a very, very long shot). As a proportion of our own total searches, however, “Black Friday” ranks higher than as a proportion of total searches in other countries. Within South Africa, interest levels during the same period (again, as a proportion of total searches) were highest in KwaZulu-Natal, Gauteng and the Western Cape, in that order. The province with the lowest proportion of searches was Limpopo. At a city or (semi-)urban level, Lethabong (Gauteng) was the area with the highest proportion of “Black Friday” searches, followed by Umhlanga, Durban, Durban North and Westville (all in KwaZulu-Natal). In the top 20 related queries (other terms the same users also searched for), some of the top brands or chains included Checkers, ShopRite, Makro, TakeAlot and Pick ‘n Pay. There are still a few weeks to go before the 12 days of Christmas, but Christmas budgets may clearly be blown well in advance: credit cards-a-swiping, bank accounts-a-draining, and raaaaands blown on bliiing (but also less extravagant things). **Google Trends Note: A higher value means a higher proportion of all queries, not a higher absolute query count. 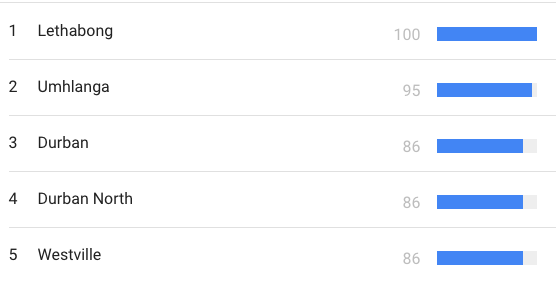 So a tiny country where 80 percent of the queries are for “bananas” will get twice the score of a giant country where only 40 percent of the queries are for “bananas”. The Fire Tree was born on April Fool’s Day in 1999, and we partied like it was…well, it was. Headed up by Managing Director Arthur Lello, Financial Director Debbie Palframan and Creative Director Bianca Schmitz, we were a little team of five that could and did. These savouries look as great as they taste. Thank to Razia from @therollingpinsa for bringing them for our shoot. The flatlay boards and backdrops are from @fomo_print .